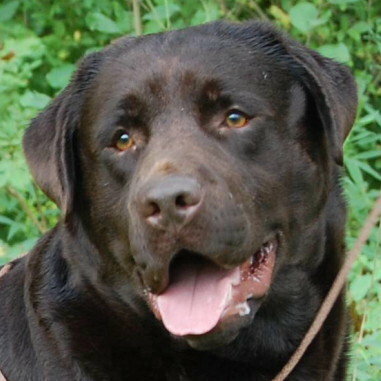 Rocky has lots of bone, a nice head, correct eye color, great substance, great angles as well as a nice rear and a nice front. 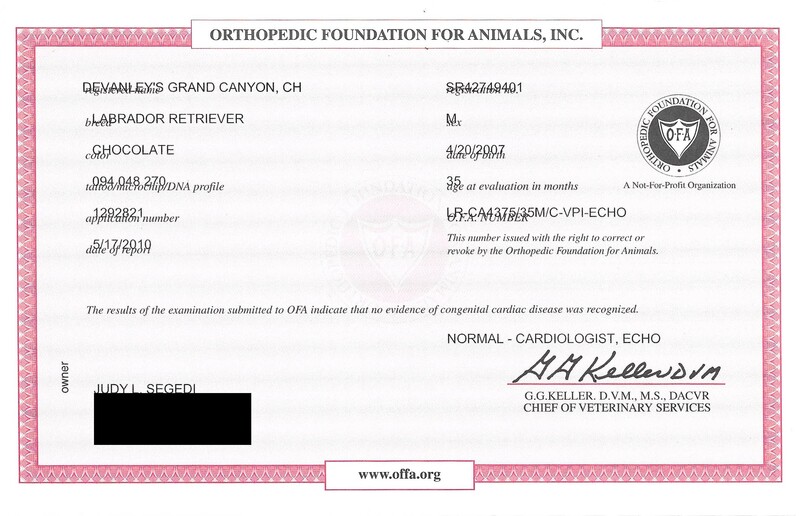 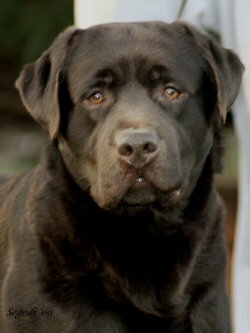 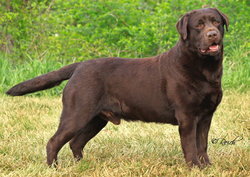 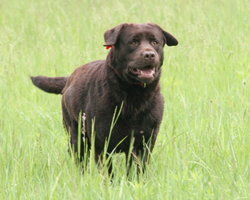 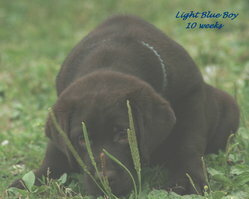 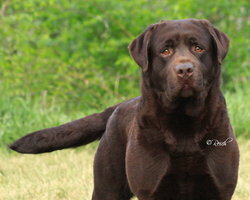 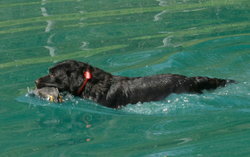 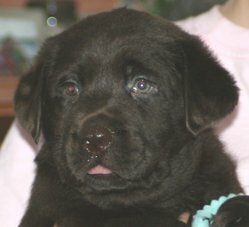 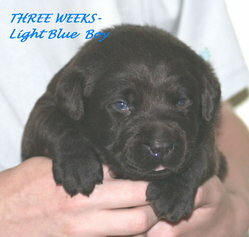 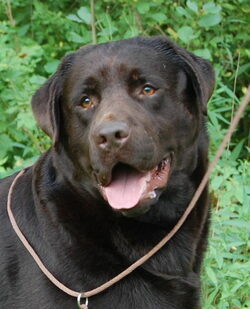 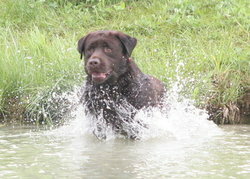 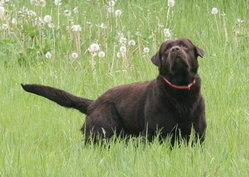 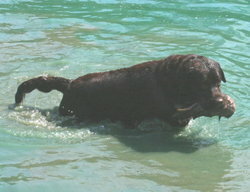 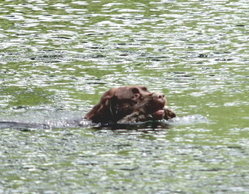 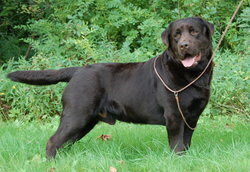 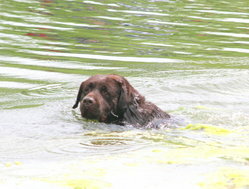 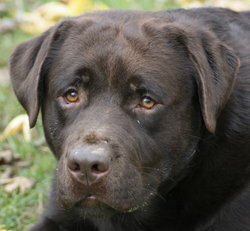 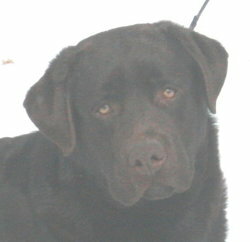 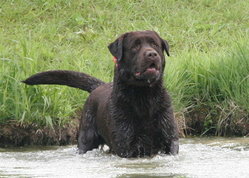 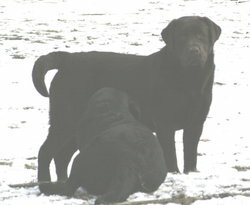 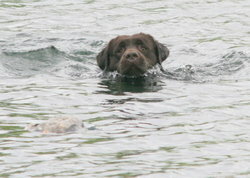 Rocky is producing lovely dark chocolate puppies, including several that have gone on to become Diabetic Alert Dogs. 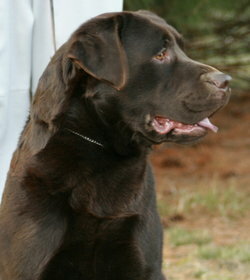 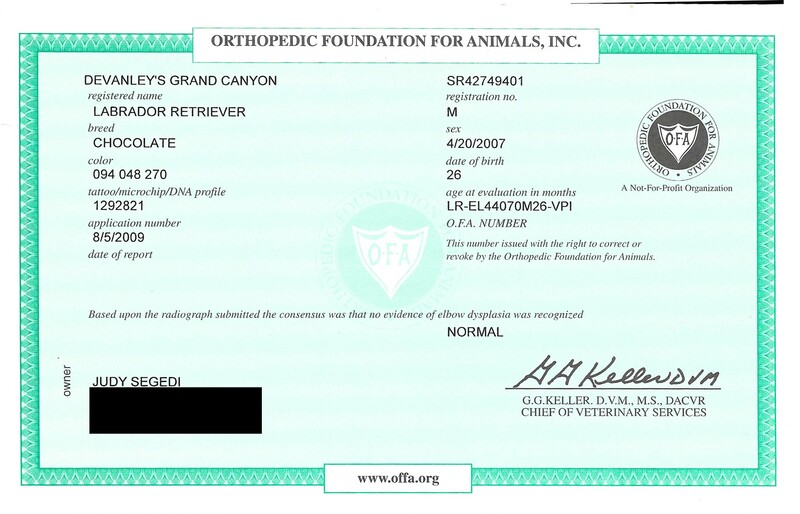 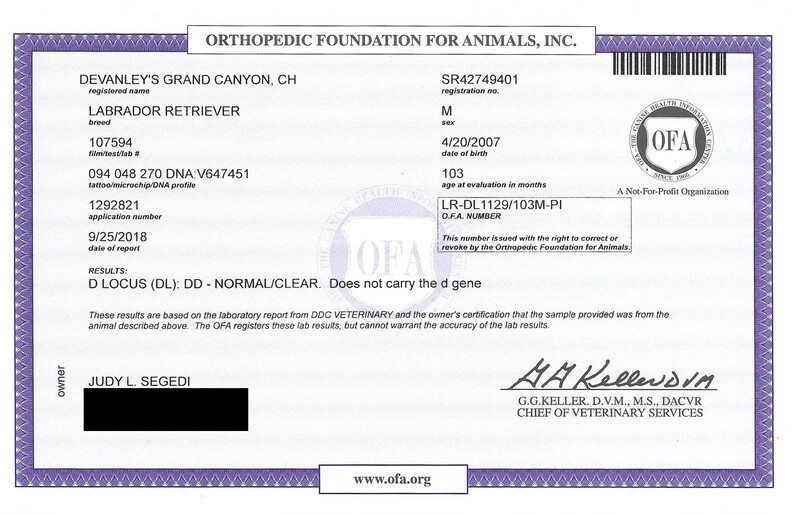 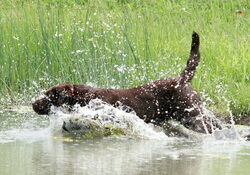 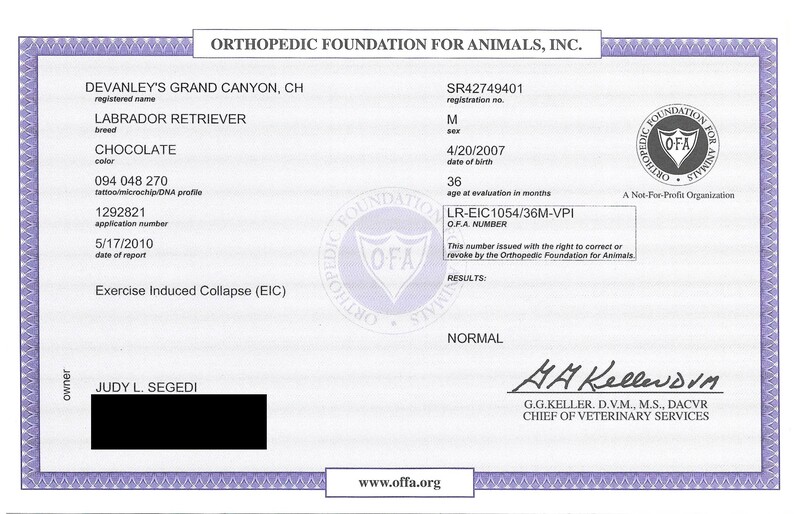 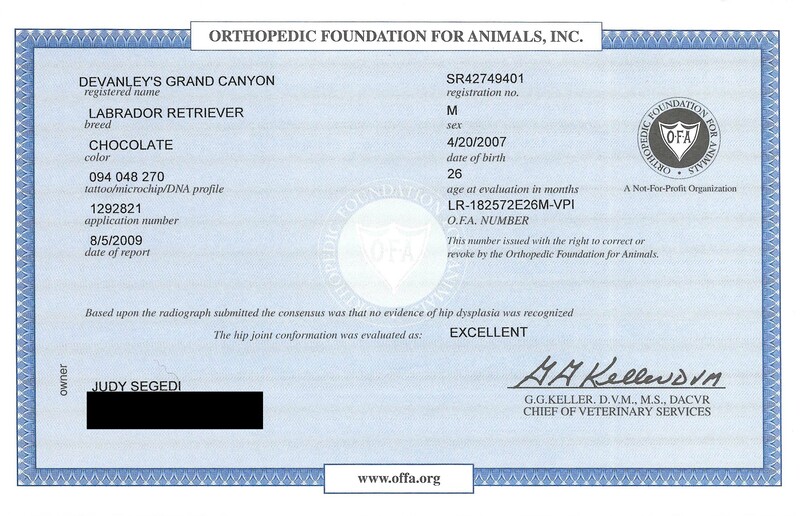 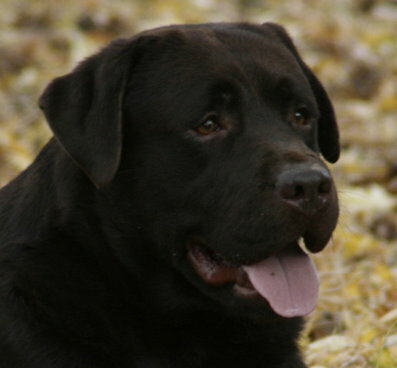 Click here to see pictures and videos of several litters sired by Rocky. 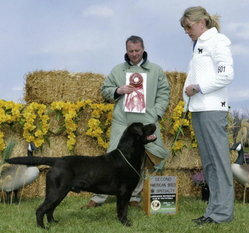 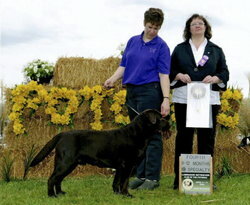 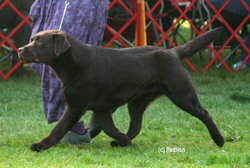 WD - Mid-Kentucky Kennel Club under Breeder Judge Lorri Isenhath Gordon (Gordonview) (3 pts). 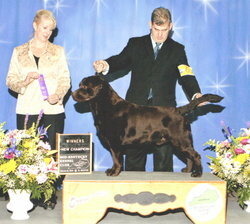 SEL - South Hills KC under Judge Tom Hale (2 GCH pts) .